Baloun® flexisaddle is in terms of technology, very difficult to manufacture. 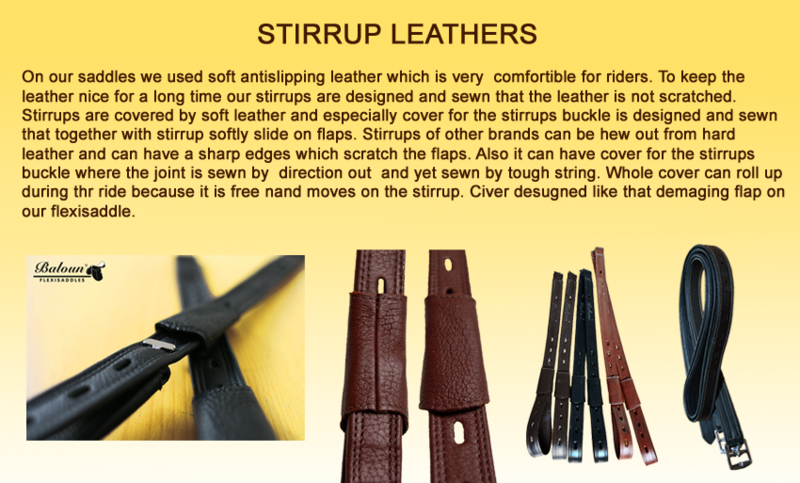 On each saddle is more than 200 operations, each operation has 2 – 3 other operation and is mostly hand – made. The weight is about 3.5 kg and is consist of saddle tree made from lamela forms on latex pillows. The result of our development and testing a novelties, we recently launched – flexisaddle on saddle panels with thermoactive gel. 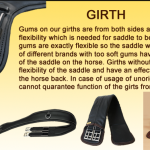 Horses respond very favorably to this type of cushions and this news greatly increases the already high level of comfort of our flexisaddles l for horse and rider. The front gullet is removable (size. 1-7), thus achieving resized saddle for each horse. 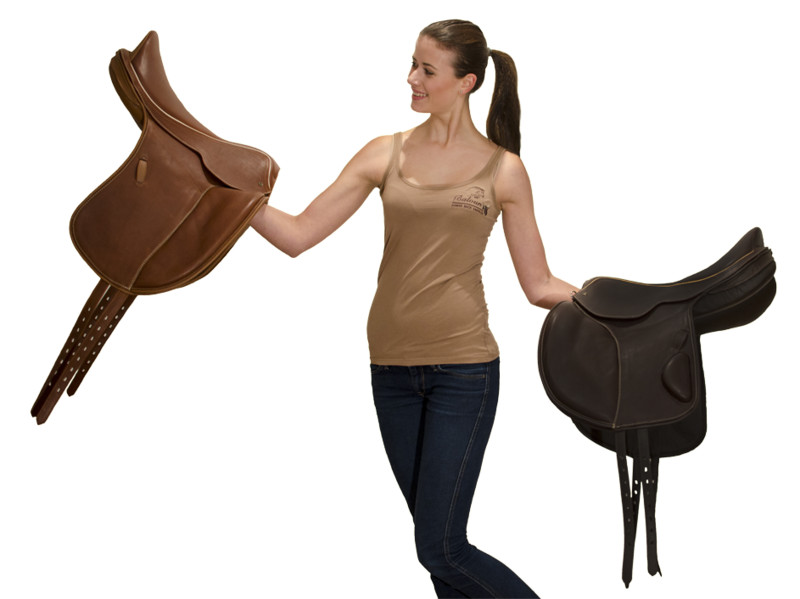 Thanks to flexible remaining part of the saddle the saddle will adapt to horse back including anatomical disproportions. Exchange gullet is carried out in the Czech Republic only Baloun flexisadles (in other countries, our resellers), just send it to the seat of our company, where we carry out rapid exchange of gullet and send it back to the customer. The stirrup bar at flexisaddle Baloun is designed to avoid the transfer of impact energy from rider’s weigh in the stirrups in the blades (muscles on shoulders ) of the horse. Pressure energy is due to the special attachment snap locks escorted out of the gullet to whole area in saddle panels and sprung by latex. In the saddle with thermoactive gel on saddle panels is a big part of the shocks absorbed by the gel layer. Construction of flexisaddle even allows replacement of the seat by another type and possibly a different size (+ / – 1 “). 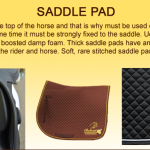 Adjustable knee rolls allow perfect adaptation to the size of the saddle riders.Flexisaddles are made from a non-slippery hide with a choice of many color combinations. The whole production of flexisaddles and other our products are produce inside of our workshop. Therefore we have a possibility to permanent control quality of products. 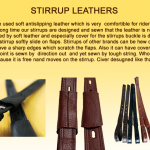 IF THE FLEXISADDLE WILL NOT TO BE USED WITH THIS ORIGINAL ACCESSORIES – GIRTH, STIRRUP LEATHERS, CORRECT TYPE OF SADDLE PAD WE CANNOT GUARANTEE CORRECT FUNCTION OF THE FLEXISADDLE BALOUN AND WE ARE NOT RESPONSIBLE FOR CAUSES DAMAGES CONSEQUENT. IN THAT CASE WE WILL NOT ACCEPT ANY COMPLAINS REGARDING FUNCTION OF THE FLEXISADDLE.